The final phase of the project includes a rubberized walking trail and upgraded parking. The final phase of improvements to Freedom Field were approved Tuesday. 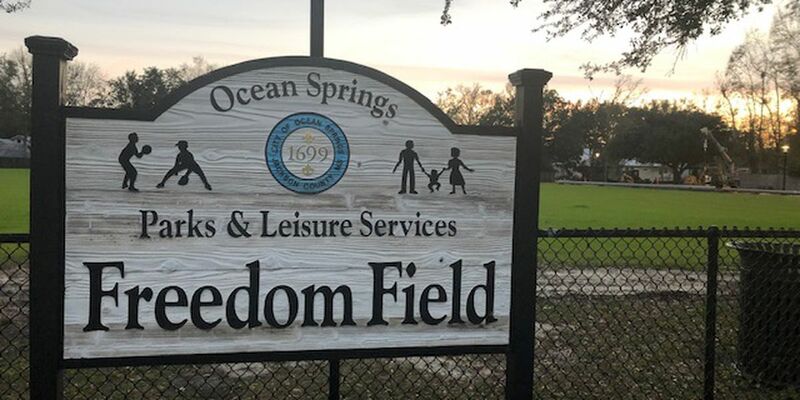 OCEAN SPRINGS, MS (WLOX) - Freedom Field will continue its face lift to the tune of $193,545. The board voted Tuesday night to approve the spending and inked a deal with JLB Contractors, LLC. The final phase of the project includes a rubberized walking trail and upgraded parking. The city said a rubberized walking trail will make for an easier impact on the joints, and the upgraded parking will be on the west side of the park. Lighting has already been installed courtesy of Mississippi Power, and athletic poles will be placed. The funding is coming from a two percent food and beverage tax implemented several years ago. “I think it’s a great improvement to the city. It will give additional parking downtown for all of our festivals, so the community is going to be very pleased with this project," said Geri Straight, Parks and Recreation Director for the City of Ocean Springs. Work should begin again at Freedom Field in 20 days. The city said once that happens, it’ll take crews about two months to complete the project.